Of all the possible criteria, remits, and requirements, gaming provides the most unambiguous winner. 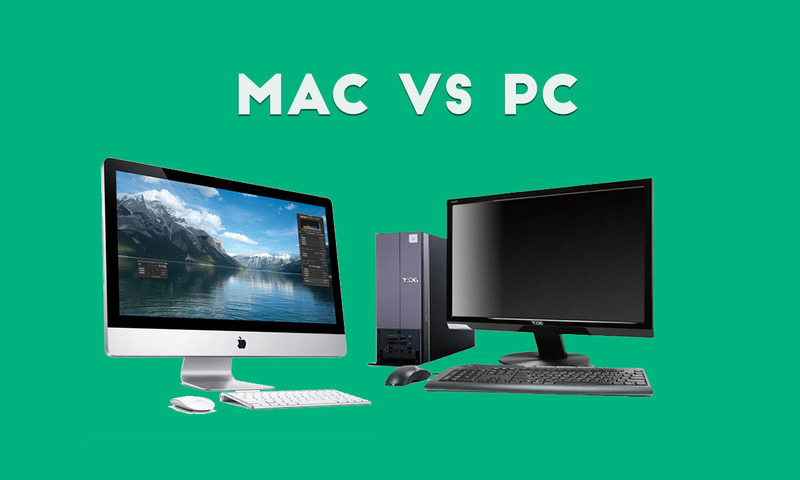 It’s a nailed down, copper-bottomed certainty that the PC is the better choice. There are far more games for the PC, and where the same game is available on both platforms, it runs better on PC. The end. Likewise, before anyone suggests using Boot Camp as a quick-change option for transforming a Mac into a gaming PC, that only works up to a point. That’s because of Mac’s limited configurability. Trying sticking a Nvidia Titan X into a trashcan Mac Pro. Yeah, right. By contrast, the PC has a wealth of options regarding components that enable you to max out your gaming performance at any given price point. The possible exception to this may arrive with the upcoming new Mac Pro. Apple says the new model will major on configurability, so it’s just possible that we may finally have a desktop Mac with some reasonable upgrade chops. In that scenario, dual-booting a Mac into Windows via Boot Camp might make a decent part-time gaming rig. Until then, it’s PC all day long, and thrice on Sundays. Tricky one. Apple has long styled itself as existing at the intersection between liberal arts and technology. Although that rings faintly ludicrous when you consider its puritanical policing of software in its app store, there’s no doubting that generations of content creators have favored Macs. Exactly how much better or worse Macs are for creating content is quite a subjective subject. But many people certainly do prefer the software packages and GUI of Mac in a creative context. On the other hand, whenever performance is a critical part of the package, Macs fall behind. Apple’s Mac Pro workstation is staggering on with ancient hardware. In short, if you want to render in a hurry, choose a PC. Macs also look rather old hat with the arrival of Microsoft’s Surface Studio, and its intriguing form factor and input solutions. It’s far more innovative as a content creation device than anything Apple has done for years—the touch bar on the latest MacBook Pros doesn’t come close. For that alone, the PC deserves a marginal victory. However, when the new Mac Pro arrives next year, it could be a very different story. What is the best laptop in the world? Quite often, the answer to that question has been some MacBook. However, MacBooks needn’t be the absolute best in every category to remain relevant. The MacBook line is certainly more up to date technologically than Apple’s tiring Mac Pro product, for instance. And when it comes to perceived quality, the best MacBooks are peerless. As a physical object, the crazy-thin 12- inch MacBook is probably the single most gorgeous portable computer yet conceived. You tend to know what you are getting with Apple portable, too. You can usually assume that great build quality and good battery life are givens. Usually! With PC laptops, it’s often a bit of a gamble, especially if you are ordering online and sight unseen. On the other hand, Apple boxes you in with a limited range of choices and configurations, a situation that is epitomized by the aforementioned 12- inch MacBook and its single USB C port for everything. PCs can be had at all shapes, sizes, specifications, and prices. In the end, it all depends on your remit and the things you care about most. An honorable draw, then. Or to put it another way, what is the best overall combination of hardware and operating system? Macs certainly score in a number of areas. For starters, they present a more consistent face more of the time. Apple maintains closer control of both hardware and software, so you’re less likely to face minor glitches, be that in terms of stability or interface quirks— when you can’t easily blame someone else’s hardware or the software, you just need to get everything working. It’s also true that when equipped with a high-DPI display rendering in so-called “Retina” mode, the Mac has the PC beaten for the crispness of its fonts. They are gorgeous. Macs also integrate exceptionally smoothly with certain peripherals that have been designed for Mac (although that’s a bit of a double-edged sword in the value department). And yet MacOS is very much a walled garden compared to the huge expanse that is the Windows ecosystem. Windows remains a little rough around the edges, even Windows 10. But if you’re like us, and you want maximum power and configure ability, as well as the broadest software and hardware compatibility, the PC has Mac comprehensively licked. Cyber Security is the bane of modern life. Even governments and major corporations regularly get hacked. For the average Joe, the safety and anonymity of numbers is probably the best protection. So, does it matter which computing platform you choose? In extremis, we concede the PC is probably the more vulnerable as an overall platform. That is simply a consequence of its ubiquity. It presents more live targets to the bad guys, so more of them are working on ways to compromise the PC than Macs. To put this in some context, Apple lays claim to around 7 percent of new computer sales, against a backdrop of consistently selling less than the likes of Dell, HP, and Lenovo for years on end. However, in reality, many of the threats to your online persona are platform-agnostic. If a minor website you use is hacked and leaks a password that also happens to be the key to your online banking, it hardly matters what computer you use. In other words, regarding the choices you can make, it’s mostly down to how you manage your personal data, such as passwords, not what computer you pick. Scan the win-lose ratio, and you might conclude that the PC has served the Mac with a brutal punishment beating. In practice, it’s much more finely balanced. Partly that’s because when Mac is at its best, we have no problem recognizing that it can be utterly delightful. It’s also worth remembering that Apple’s well implemented Boot Camp dual-booting utility means you can often have your MacOS cake and eat Windows at the same time. Ultimately, however, so much of this comparison comes down to personal preference. For us, the power, flexibility, freedom, and configurability of the PC is what it’s all about. If you’re dead serious about getting things done your way, and not being held up or messed around by somebody else’s idea of what makes a good computing platform, PC wins hands down. Where Mac makes sense for us is as a secondary system with a relatively narrow remit. Powerful desktop PC at home; a thin slice of tasty Apple portability on the move. Sounds good to us. But if there could only be one, there can only be one. And it’s the PC.